Really unique cowboy boot desk or office item. Useful for holding a few pens or pencils and small office supplies. 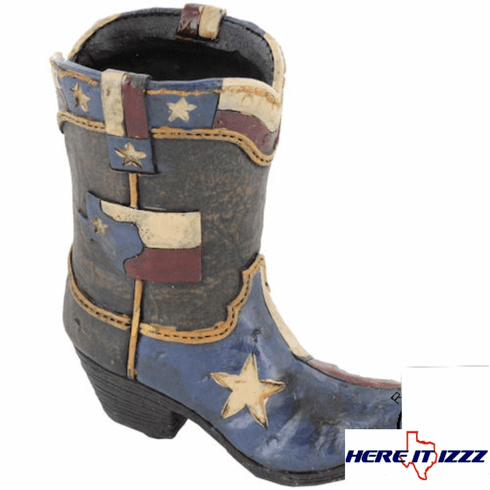 Texas inspired cowboy boot, red white and blue with the lone star flag.